Situated on the 3rd floor, this condo is truly unique, boasting the most stunning DIRECT OCEAN FRONT VIEW from the master, living room and balcony. The condo was spacious, clean, and private. The balcony was large enough for 6 to 8 people with no problem. There were two issues: the air-conditioning didn't work very well, and the pots and pans were worthless and need to be replaced. Other than that, it was very nice, the pool was warm and very clean, steps from the beach. The ocean lulled you to sleep. In the morning you could watch the dolphins play in the wake while the sun was rising on the horizon. We loved waking up every morning enjoying our coffee on the deck waiting for the sunrise. We enjoyed walking and riding our bikes to Port Canaveral and to Cocoa Beach Pier. Great happy hour at Florida Brewing Co! Definitely will stay again! Had a wonderful stay, the Condo was excellent except for the pan in the kitchen need replacement and the bathroom drains were extremely slow. 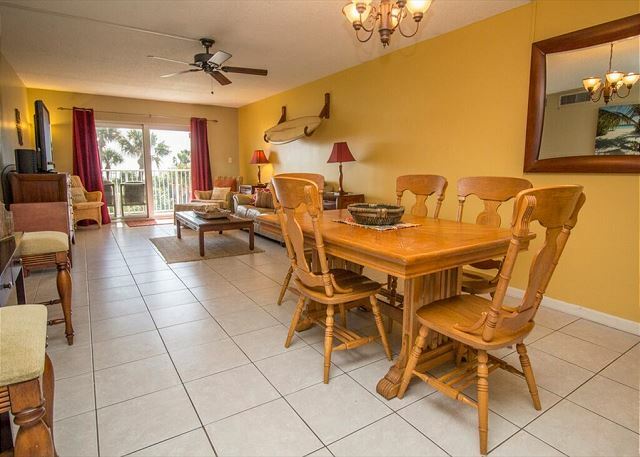 Beautiful condo - located RIGHT on the beach. Lovely decor - with only minor upkeep needed. I was throughly impressed with the condo management company, Cocoa Beach Best, Inc. and our coordinator, Breanne. She was VERY responsive to emails and went above and beyond her job duties to make our stay comfortable. I would rent with this company again in a heartbeat. Loved this location! Great for the family. 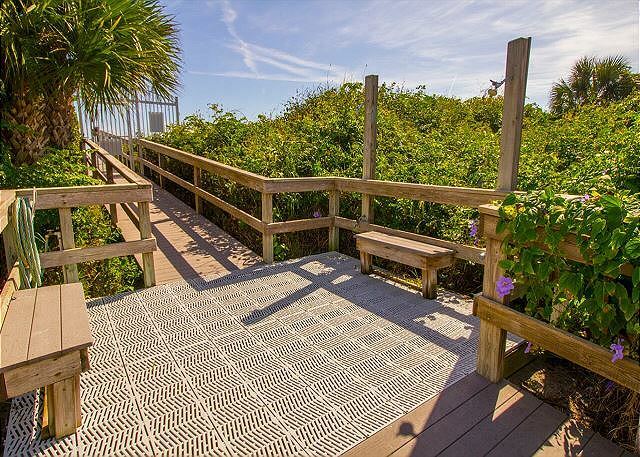 Right on the beach, walking distance to pier. Lots of amenities. Had some issues with the keyless lock. But other than that it was a perfect stay! Thank you for staying with us. Glad that we could fix the issue quickly. The keyless entry pad was worn from the salty air and needed to be replaced. Unfortunately those things don't give us any kind of warning prior. Hope to see you again next year. We love staying here. Our two families have stayed here two years in a row. We will be back. 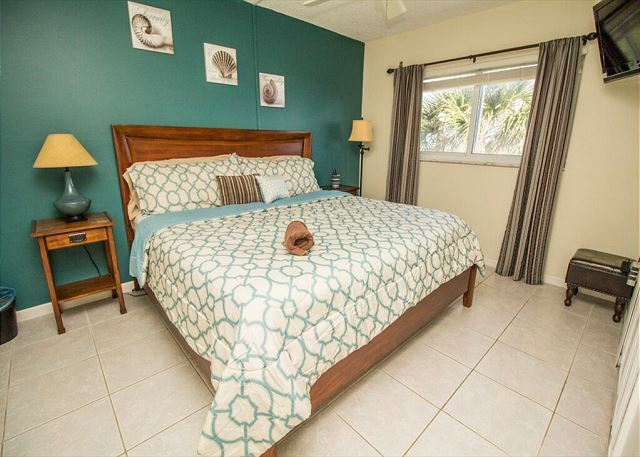 It is clean and well stocked with everything you need for a beach vacation. The bedrooms are comfortable. the management staff is very friendly and accommodating. The pool is close and clean and heated. The beach is just steps from the condo. The mall and movies are about 15 minutes away for rainy day activities. We hope that you and your family keep coming back to stay with us. We value you as a customer and returning guest. 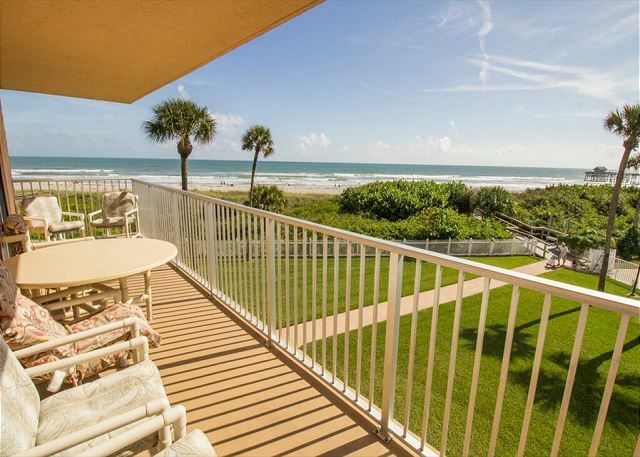 Cocoa Beach Towers - Awesome Ocean View, very clean! 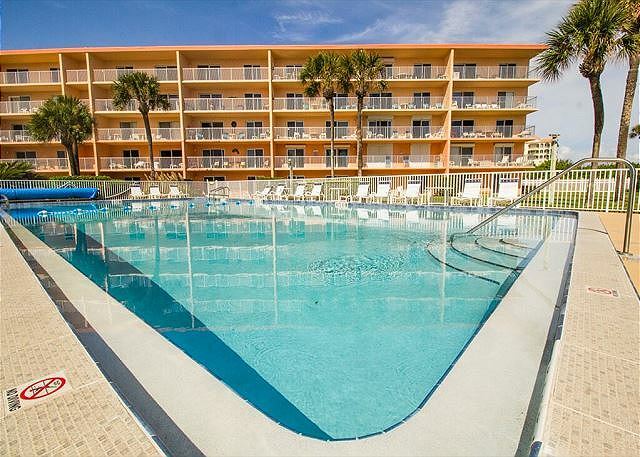 We rented unit 30 at Cocoa Beach Towers for Spring Break, we had the best time. The condo was very roomy and had an awesome view. Everything we needed was right there. The location was close to several different eating places that were in walking distance. Had an awesome time, will be returning next year hopefully! BEAUTIFUL VIEW & GREAT LOCATION!!! This is an ideal condo if you want to be in a great location and an amazing view. The proximity to the grocery store really helped when a vehicle wasn't available, and having Dunkin Donuts on the corner was awesome!! The beach was beautiful and if it is too cold/windy to walk it you can just watch it. Being able to see the kiddos in the pool (with someone else supervising) was fun, and the toys, cooler, chairs, umbrella and wagon in the condo helped a lot!! The master bedroom/bathroom with door helped a lot when we had to get ready for work early in the morning and not wake anyone else. The washer/dryer in unit was very helpful as well. Working with is always great and the team there is really responsive and helpful. Would definitely stay here again if it is available!! Thank you for the nice review. It is always a pleasure to have you and your family as guests. This unit was amazing! The condo was stocked so well with anything we needed for the beach and was so neat and clean! The beach views from every bedroom were unbelievable!!! Such an amazing week we had in this place!! Thank you for the wonderful review and we look forward to having you stay with us again. Just everything you need for a real vacation. Awsome view, very quiet place, very clean. Will go back for sure. Let us know when you want to return and book directly with us we love returning guest and give discounts when they book directly and return the following year. Excellent stay, very well equipped and clean. Comfortable bedrooms and furniture. Good supplies in the kitchen for cooking. The only inaccurate property description was about the "heated pool" which was not actually heated and was too cold to swim. Thank you for your response we appreciate your feedback. The pool at the complex you stayed at is heated but we have not control over when the complex turns the heat on for the pool. Usually it is Mid-November Beginning of December. Have stayed here meany times and Cocoa beach best staff and the unit are truly the best. 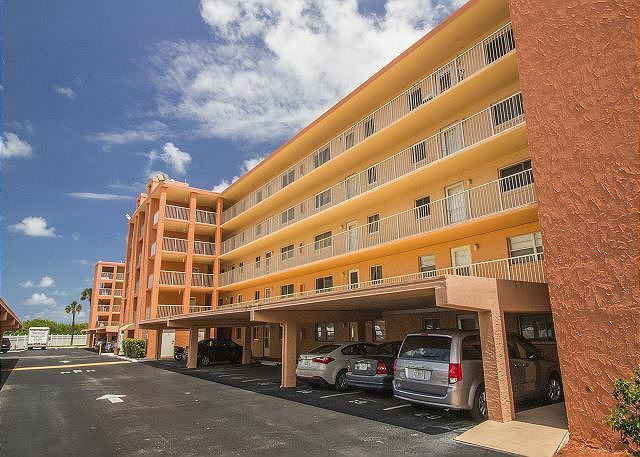 Cocoa Beach Towers is a beautiful complex, located right on the beach, near the pier, close to the supermarket and restaurants. Unit 30 is beautifully decorated and has a FANTASTIC VIEW! This rental had everything we needed for recreation and the beach. The kids weren't happy about the pool closing dusk; however, it really helps keep the place peaceful for everyone staying there. The room was spacious enough for everyone and the views were fantastic. You really can't go wrong with this rental. This was our first experience using VRBO to plan a vacation rental. It went very smoothly, and I was happy with my experience with the rental/management agency that we worked with. The check in process was easy, our door code worked, and we were set up for our vacation very quickly. We followed the recommended activities when we left, cleaned up after ourselves a little and had a generally great experience with the whole VRBO process. The condo is in a great location! We had a gorgeous view of the Coco Beach Pier right from the living room and master bedroom of the condo. Also, great views of the sunrise which we took advantage of every morning! The three bedrooms and two bathrooms worked great for our family of 5...everyone had more than enough room to spread out and hang out. The beds were comfortable, bedding and linens were adequate for our needs. The kitchen utensils could use a little updating, but there were plenty of dishes/glasses to use, and enough cleaning supplies, although we didn't realize that and purchased some of our own. Having a washer/dryer in the unit was KEY in our trip, especially being on a beach trip! 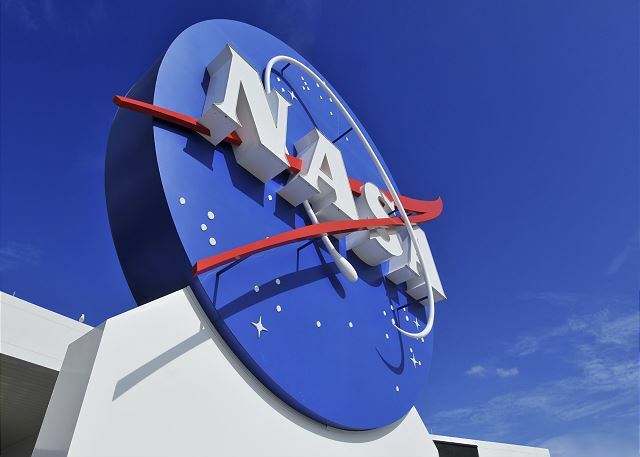 We spent a day at Kennedy Space Center and a day at Universal Studios. Kennedy is only about a 20 minute drive and Universal Studios is about an hour. Overall, I highly recommend this condo. I doubt that we will ever stay in a condo with such a great view and location for the price that we paid. We had a wonderful experience with this condo... so much that we booked our vacation for next year already! Had pretty much all we needed for the beach already included so we didn't have to buy much. 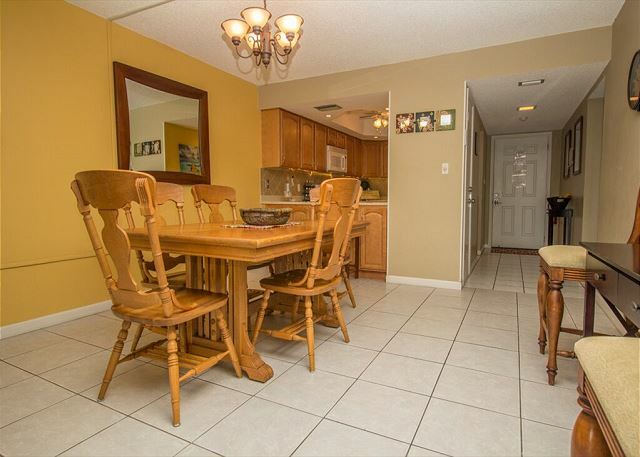 And a great location close to Dunkin' Donuts and Publix. Can't wait to go back next year! Had a wonderful time! would definitely return/book through this company again. Thank you Wendy, it was nice having you and your family as our guest. Very clean upon arrival. Smelled clean too. Very nice condo. Great balcony. Great location. Very convenient to the pier. Easy walk to Ron Jons surf shop. Quiet in the evenings. Will consider this condo in the future. Rental agency was great to work with. Thank you Susan and it was great having you as our guest. We look forward to seeing you again in the future. Wonderful Condo with Exceptional View!!! We spent two weeks at CBT30 with our adult children. 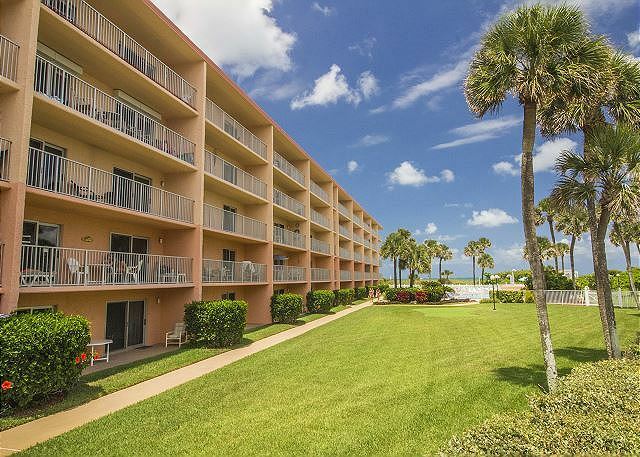 This unit has wonderful views of the ocean and the beach and we had a great view of a rocket launch from our balcony. The building is exceptionally quiet and so relaxing. 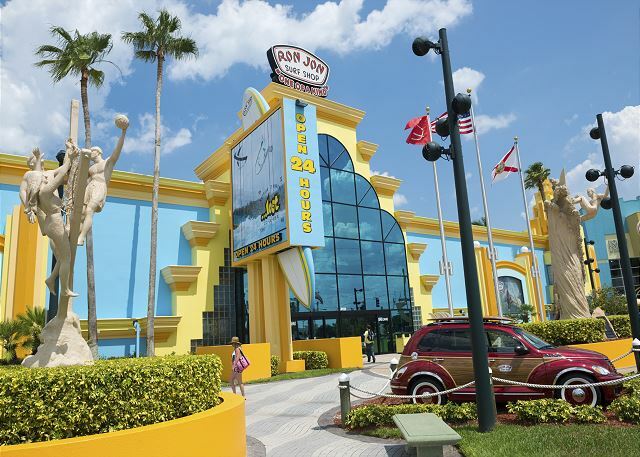 The beach, grocery store, and restaurants are all within walking distance. The accommodations were great and everyone had a wonderful time! Loved our stay here. Great view!!! 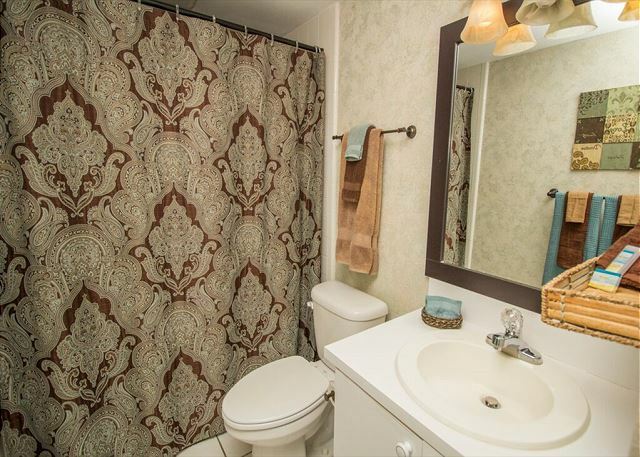 Unit was well maintained and exceptionally clean. It's the perfect spot for a relaxing getaway. Hope to be back next year! Our family loved staying at this condo and would stay here again in a heartbeat! We lived at the beach and the pool and really appreciated all the beach toys, chairs, and extras that were provided. Very comfortable and clean stay. Wonderful time with family. 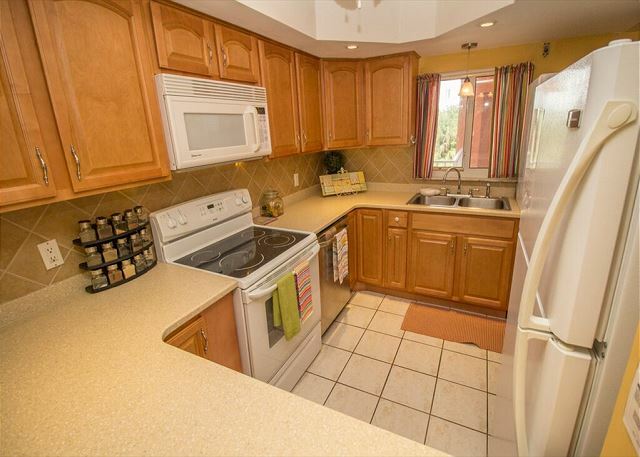 Location was great and condo was everything that was expected and more. Thank you. We hope to come again. Booking agent was great ,the condo beautiful,and the view was awesome. We will go back!!! 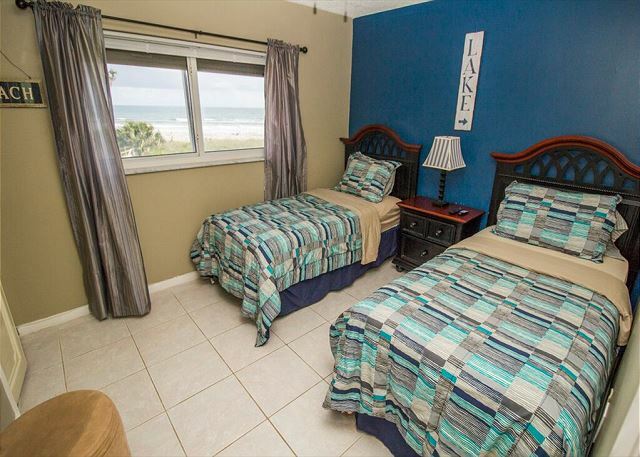 We stayed at Unit 30CBT that is Oceanside in Cocoa Beach, Florida. Each summer our family enjoys traveling to a new destination.This year was selected by searching the Internet. The impressive description of the property held up and is a beautiful location beachside with a panoramic view of the Atlantic Ocean and is exceptionally well maintained. The location includes a sandy beach, big swimming pool in a quiet secured location. It was very hot that was expected in July. Still, it was comfortable, thanks to the sea breeze. 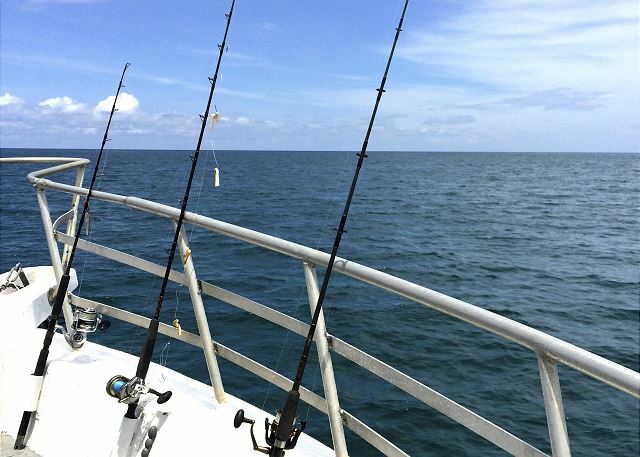 Activities we enjoyed were watching a rocket launch from Cape Canaveral that was just a few miles away, time in the pool and ocean, touring the nearby Kennedy Space Center, watching the cruise ships head into and out of port and dining at unique restaurants with beach themes. Even more fun included watching the moon rise and storms drift across the ocean. 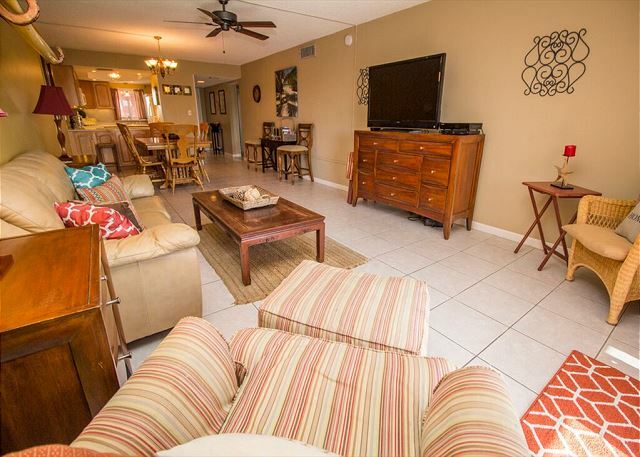 So, if you are looking for a well maintained condo to enjoy a relaxing vacation with a marvelous view and lots of opportunities for a fun in Cocoa Beach, Florida, then CBT30 is the place for you. It far exceeded our lofty expectations. Great location had everything we needed and for us was fine but condo could do with some updating. Beds were comfortable bathrooms and kitchen need some attention. But overall a great place to stay. Great place to stay right on the beach. Awesome views from the balcony that make it even better. Conveniently located near grocery stores and shopping. This is by far the best rental I've stayed in and I would definitely go back!! We had. Great time. The view was wonderful from all rooms. Everyone was friendly and helpful. We actually saw activity from nasa. It was so nice to be able to walk into a place that was fully furnished and stocked with the things we needed. It really did feel like a home away from home instead of a gloomy hotel room. The unit was very clean and the view was amazing. From the time we arrived our 3 year old daughter was glued to the back door wanting to go to the beach. We have family that lived in Cocoa Beach so we are down at least once every year. 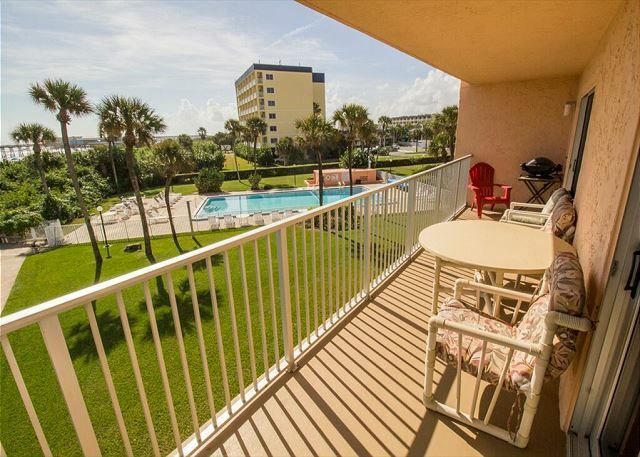 We will definitely be booking another stay here at the Cocoa Beach Towers. The place looked exactly like the pictures!! Great location wonderful people!! Clean!! We had a wonderful time! 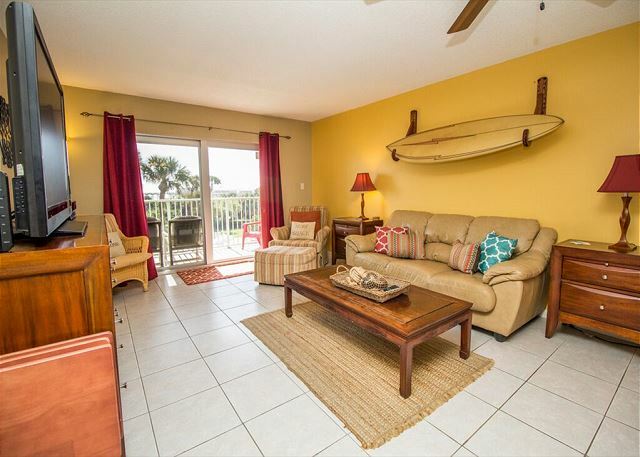 This was a wonderfully cared for condo and a perfect place for a family vacation. The condo was well stocked and decorated nicely. 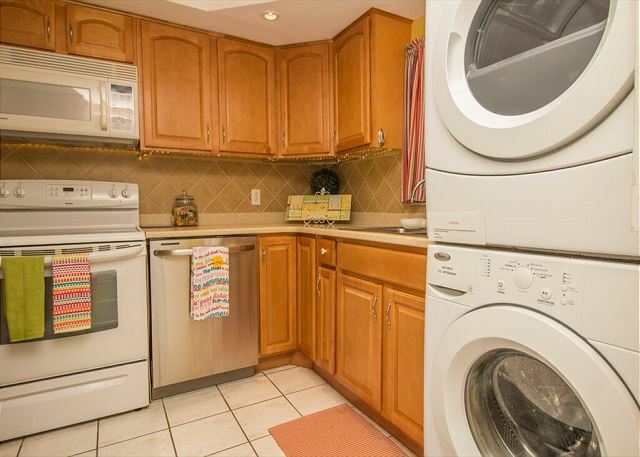 The appliances were updated and very nice. The balcony is very large and has views of both ocean and pool. You can get a lot of sun sitting out there. The kids really enjoyed the stay as well. There was a pack and play in the master and toys for the beach. 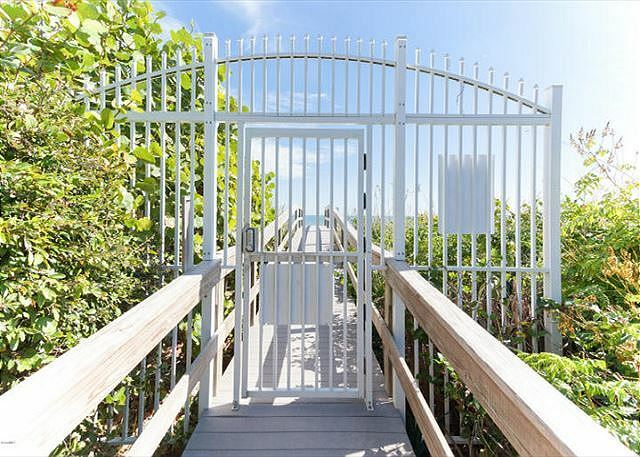 The location is close to the Pier and everything you need. 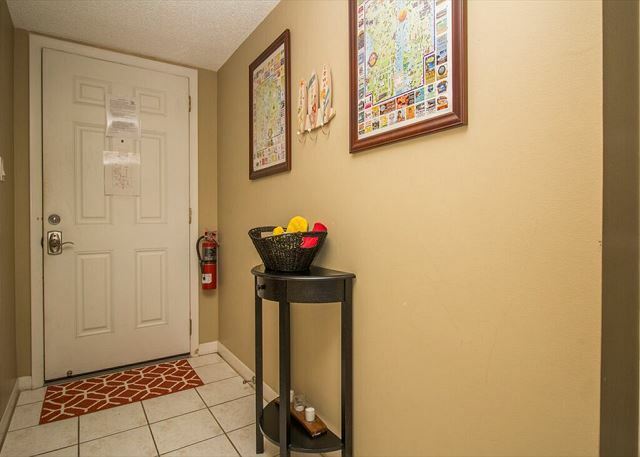 In walking distance to Publix and many other restaurants and stores. We had a great time. The Condo is 100% as advertised. Great location. Great unit! It was clean and wonderful Ocean view! A pefect spot for a perfect vacation! Unit 30 was perfect for our needs. Loved everything about it - especially the view. 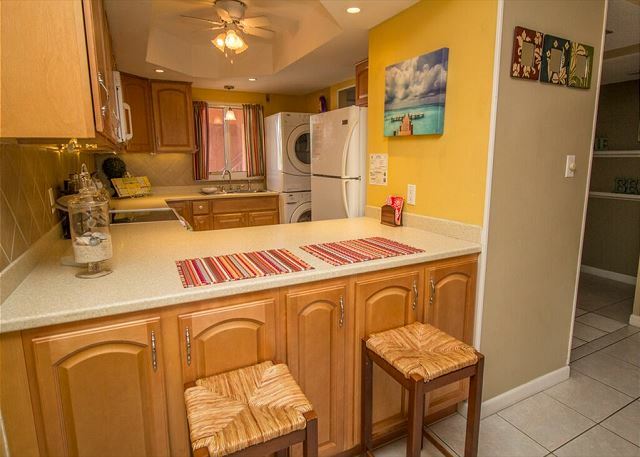 It was clean and spacious and just steps from the beach. If you're looking for a place to relax by the ocean, this is it. This spot is out of sight. I loved my stay here. The location to the beach was fantastic and the Condo war super comfortable. Looking forward to the next trip. We have 4 children and the condo was perfect for our family. roomy with awesome views. 3 Adult couples shared & enjoyed this condo for a week in Oct. 2015 & none of us wanted to go home ! Best Beach, Pool & Balcony ever !! This was the 6th year that we've stayed in this condo. We had stayed elsewhere last year due to a scheduling conflict, but returned this year. 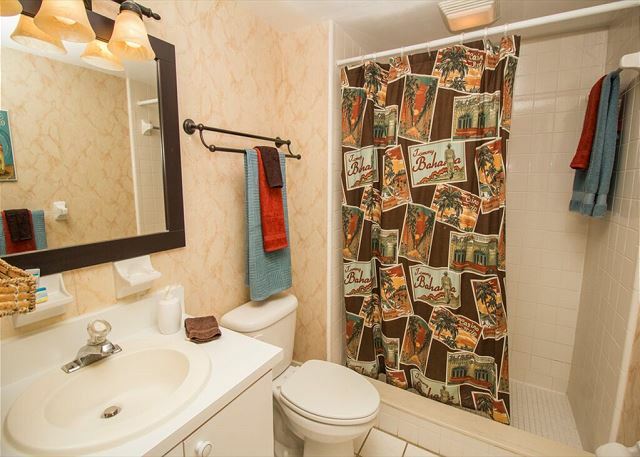 The condo is very comfortable and well equipped. The building is well maintained, the pool is very clean. The location cannot be beat. The rental agents are quite nice--very prompt with replies to any questions. Clean with great views. Everything you need to feel the comforts of home. The views remind you that you're definitely on vacation! Stayed here twice already! We had an absolutely wonderful time and everything about the condo was great! We returned home with many great memories of our week at Cocoa Beach and are already looking forward to returning next summer. The property was just as described. The views were amazing. Property was well maintained. Plenty of space for everyone. My only complaint is that most of the kitchen cookware was in bad shape and needed to be replaced. We loved that the beach is so close and easily accessed. I would definitely want to stay here again if I return to the area. Met all expectations as usual (our 3rd stay). We have stayed in this building before and found this unit to be clean and well maintained. There was plenty of room and everything we needed was available. The view of the beach and pier is great. The rental of the unit was handled very well with easy check in. We hope to be back again next year! We had a wonderful time. 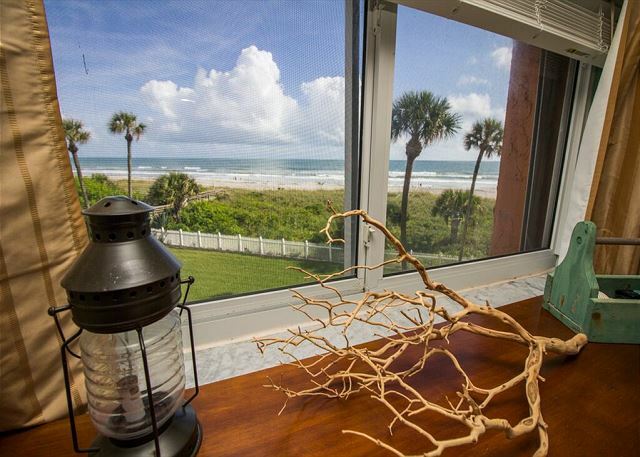 We have stayed in several other condos in the Cocoa Beach Towers, but CBT3 has more direct views of the ocean than any condo we have been in. The keyless entry is also very nice because there is never any worries about loosing a key. Overall a wonderful stay. We love the location ( 6th year in CBT) and liked the Condo. We just had great vacation staying in this condo the view is spectacular and you won't find something cleaner thanThe cocoa beach Tower. If you are looking for something quiet with everything you need close to you it s the best place. We loved this condo and truly hated to leave. It is clean, comfortable and well supplied. 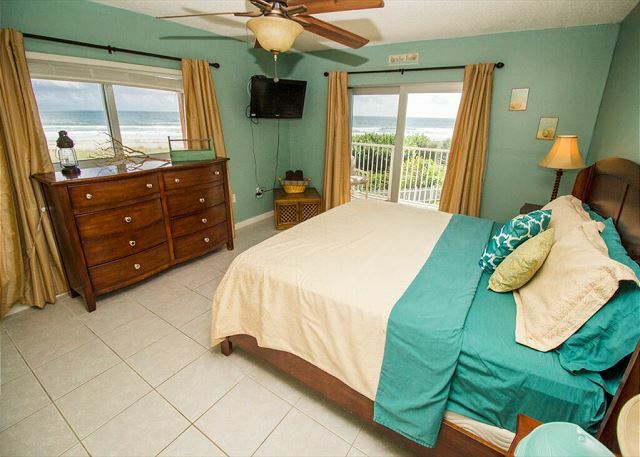 Best of all was the location with amazing ocean views and so close to the beach, pool and boardwalk where there is fishing and food! Slept so well with the ocean breeze and crashing waves. Can't wait to get back! View from balcony fantastic which overlooks the Cocoa Beach pier and perfect viewing for sunrises. Everything was as described, only exception we didn't use the grill as it was pretty grimy and rusty. Condo itself was cozy and roomy. We'd definitely stay here again. Thank you for your response! We have contacted the homeowner and we are going to replace the balcony grill this weekend! We are glad enjoyed your stay! Our family stayed in this condo unit for an end of summer vacation. The ocean views in this unit are amazing. The unit was clean and comfortable. We really enjoyed the beach and pool. The proximity to the pier is an added bonus and gave our teenagers a destination spot when they got tired of boogie boarding in the ocean and swimming in the pool. I did hear that the pool would be closed starting in October, 2014 for renovations. I would definitely rent this unit again. The Place to stay in Cocoa Beach. 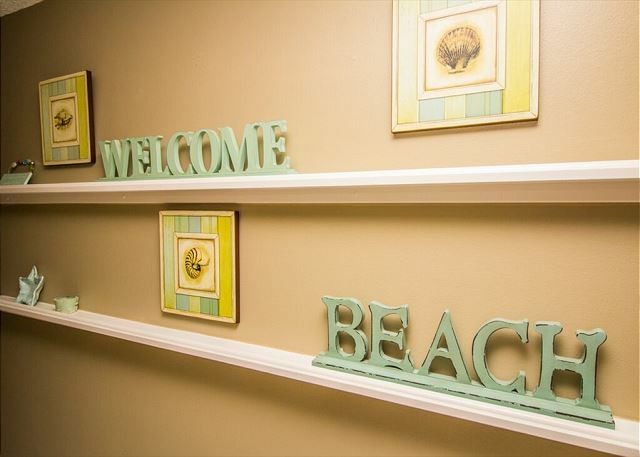 Cocoa Beach is the perfect destination for a beach vacation and this condo is the best place to stay in Cocoa Beach. 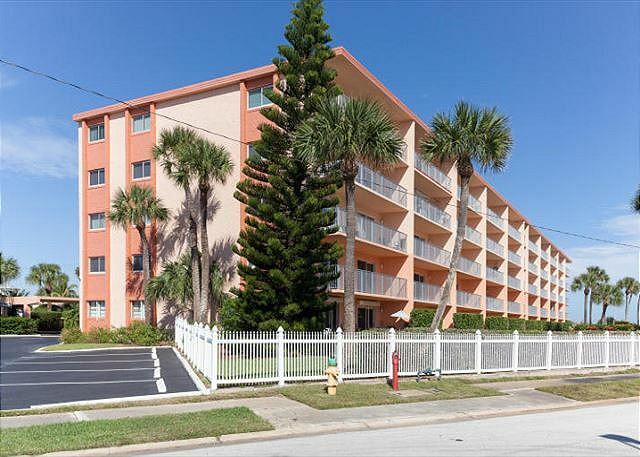 Cocoa Beach Towers was built in a well placed, extremely well maintained building just north of the pier. Unit 30 is at the end of the building closest to the beach which means that: 1. there are extra windows (all facing the ocean) and 2. it is high enough to have a great view but low enough that you can skip the elevator. Add to that a stacked washer and dryer and you have all that you need for a great vacation. 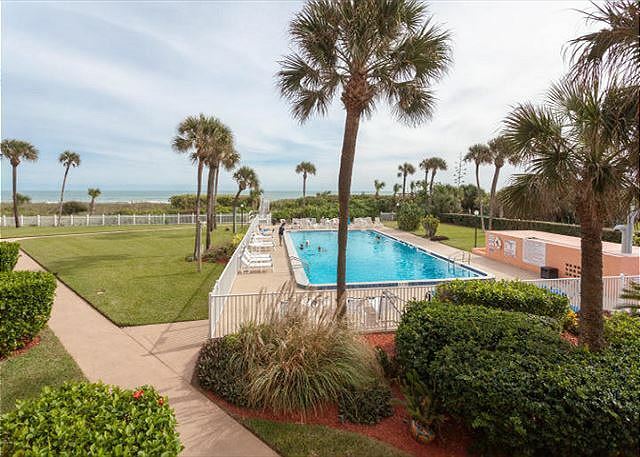 Great condo, awesome view of ocean, clean/spacious pool. Only thing that was difficult was no phone line for out of country visitors which would have been nice to have for local calls. I would recommend this condo especially if your travelling with children. 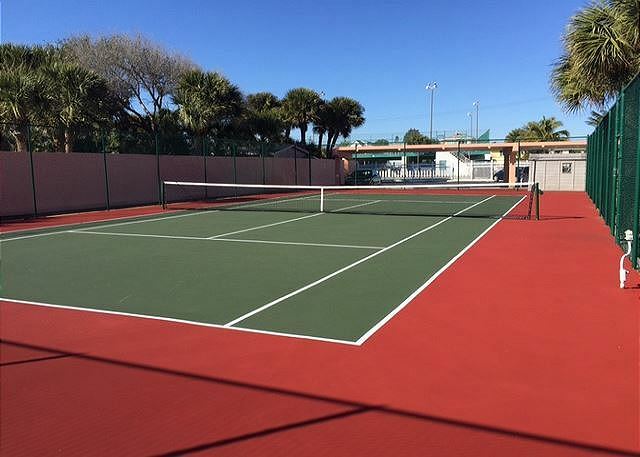 Cocoa Beach Towers property maintenance is superb. Couldn't ask for a better arrangement. Fom booking to leaving this was a great experience. Can't wait to stay here again. Nous avons loué deux années consécutives à cet endroit et avons été très satisfait. Très propre et bon service. The condo was beyond our expectations. Extremely clean, large and more than comfortable; especially the king beds! The complex itself was immaculate and the ocean view from the living room and bedrooms was lovely. 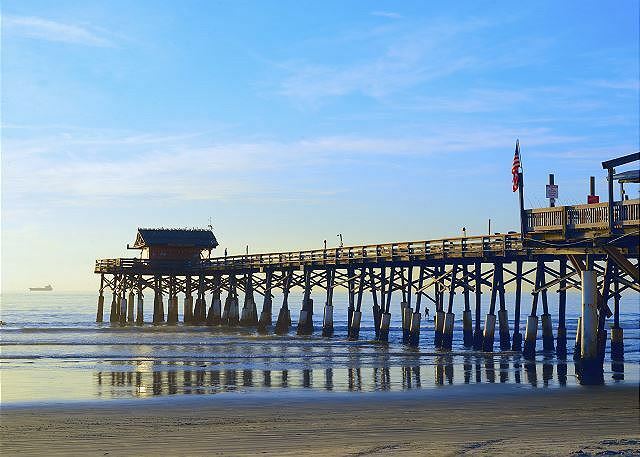 Within walking distance of grocery store, the Cocoa Pier and numerous eating places. The property management is professional and responsive, we would definitely return! We had a great time & the location was so handy for the beach & walking to the pier. We were here 2 years ago & had a wonderful time then. The living room couch & rocker have seen their better day & were not real comfortable. I know they get a lot of use. Thank you for your review Elaine. We just wanted to let you know that we have since removed the rocking chair! Once again, thank you for the insight on the property. 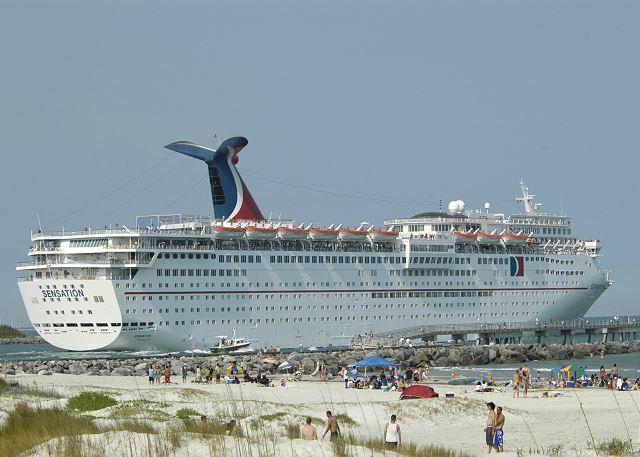 We looking forward to seeing you back here in Cocoa Beach soon! Very nice unit, large enough for six visitors from New England. Unit very well equipped, plenty of TVs and well stocked kitchen. Washer/dryer was, a nice addition. 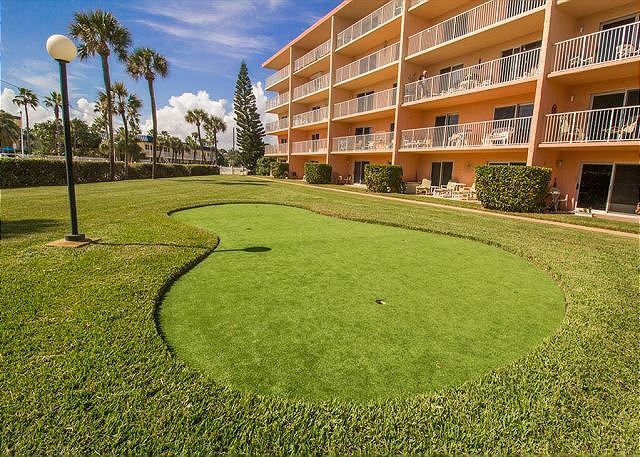 Excellent location, on the beach, nice pool,easy neighborhood access to necessities. Kids entertained all day without any difficulty. Cocoa Beach Best Team was great. Property management, a bit difficult but, not a problem. Really enjoyed the Condo. Great views of the Beach and Pier, the pictures on the website didn't do it justice! Very roomy, all for a very fair price. I'd certainly go back. Great location. Fully equipped condo. Comfortable beds. Nice pool. This was our 5th year at this condo. Great place with a fantastic view of the ocean. Safe and quiet. Really enjoyed our stay. The property was comfortable, and the room well decorated, clean and comfortable.